Absolute Signs and Graphics is committed to delivering high quality signage and graphics products with an unrivalled level of service. Our depth of knowledge and industry-wide connections mean that solutions to complex signage problems are never far away. We are approachable, dependable and committed to delivering quality products and exemplary customer services at highly competitive prices. Our pro-active project management skills ensure that your work is always delivered and installed on time and within budget. We are always on hand to ensure smooth delivery of each and every project we undertake. We offer our clients the very best in sign making and graphic products with UK has to offer. We’ve hand picked the UK’s best manufacturers and designers of signage and graphic products. We insist that our trade partners are ISO accredited. Our own team is equipped with the latest training in health and safety. We are members of CHAS and are IPAF , PASMA and CSCS accredited. 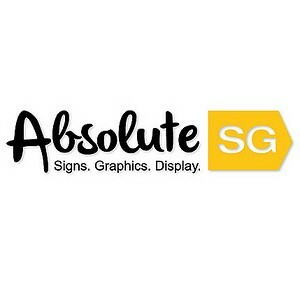 Edit Absolute Signs & Graphics Ltd.